So it seems that a helluva lot of people spent their weekend creeping around Raccoon Police Department once more, as they slid across the viscera of Capcom's Resident Evil 2 demo. The developer announced that over one million players checked out the "1-shot" demo across its three different platforms. Of course, those of you who made it through this small, torch-lit handful of the undead will be aware that a trailer follows the demo's completion, a trailer which reveals the models of two alternate characters, both of whom are recognisable faces (even though neither actually has a recognisable face). The first we see is Umbrella's security expert and infiltration team leader Hunk. In Resi lore, Hunk and his squad were sent into the R.P.D. in order to recover the G-Virus from creator Dr. William Birkin. This mission went really badly and, it would seem, led to the demise of Hunk and his entire squad (before that was retconned somewhat in the Revelations games). The second character on show is far weirder. Yes fans, the Resident Evil 2 remake will see the long-awaited return of Tofu. Literally a huge block of coagulated curd, Tofu was originally designed to test hit/hurt-box detection during Resi 2's development, but found himself eventually joining the game as a goofy hidden character. Tofu picks his way through the hazardous environment armed with only a knife, providing a genuine challenge for any Resi 2 veteran. You can check out the demo's trailer - featuring Hunk and Tofu - below. 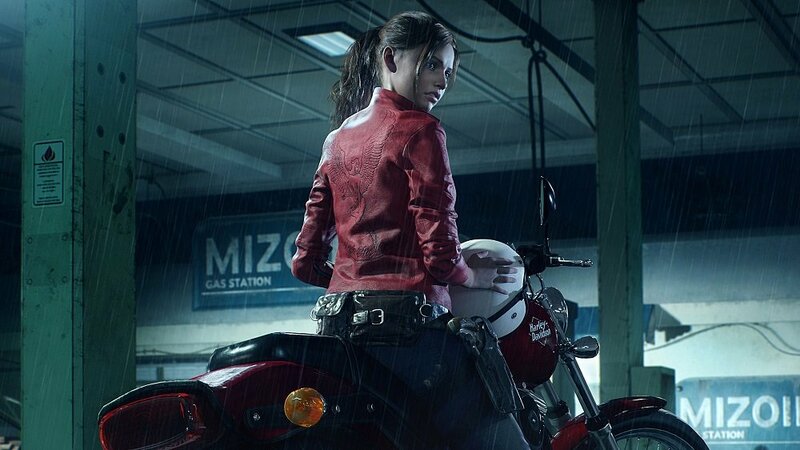 Resident Evil 2 launches January 25 on PS4, PC and Xbox One.